GENESTRA BRANDSâ„¢ supports condition-specific and individualized treatment plans with a 350+ comprehensive product offering in a variety of formats (liquids, capsules, powders, chewables, etc) and dosages. These synergistic formulas deliver in the clinical practice environment â€“ with over 27 years of proven safety, efficacy and reliability backed by clinical or traditional evidence. This line includes: human microflora probiotics, essential fatty acids, digestives, phytogens, vitamins and minerals, amino acids, proteins, standardized extracts, phyto nutrients, botanicals, singles and topical. Provides vitamin B6 as pyridoxal-5-phosphate (P5P), a biologically active form of the vitamin. Amino L-Tyrosine provides an appropriate concentration of this non-essential amino acid. Astragalus Combination #1, 2 oz. A unique liquid formula containing synergistic herbs such as Astragalus, Eleuthero, Burdock, Red clover and Schisandra. Combines standardized extracts with the roots of the herbs to ensure a high alkaloid content. Calcium and magnesium along with therapeutic dosages of vitamins D and K to help develop and maintain bones. Single mineral calcium supplementation in vegetable capsules. Can Albex 30x, 1 oz. 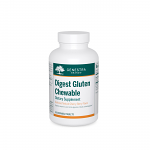 To help relieve symptoms of a yeast infection and to help maintain natural resistance to thrush. Cats Claw Tincture provides Cats claw vine bark extract in a convenient liquid format. Combines Echinacea purpurea, Pipsissewa, Uva-Ursi, Mallow and Wild Carrot in a convenient liquid format. Cilantrogen provides an excellent source of cilantro. D-Mulsion 1000 is emulsified vitamin D.
D-mulsion 400 is emulsified vitamin D using the unique WisdOM-3 process which minimizes bile dependency. D3 K2 Mulsion combines these two vitamins in a convenient liquid format. Dermagen C provides a high concentration of transdermally-absorbed vitamin C to ensure rapid transport to deep tissue and musculo-skeletal sites. The rhizome of Dioscorea villosa is a favorite therapeutical agent among Eclectic physicians, who have used it for more than 60 years. Used to help relieve cold symptoms, sore throats and the symptoms of upper respiratory tract infections. Combination of minerals and vitamins in a great-tasting natural orange flavour. Oak, Grape, and Sea Buckthorn Formula. Helps to enhance cognitive function and memory in adults. Burdock and synergistic multi-herbal combination. Almond, Oak, and Grape Combination Formula. For relief of symptoms associated with premenstrual syndrome. Helps to relieve symptoms associated with premenstrual syndrome. 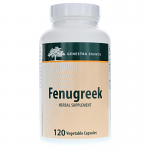 Femagen TLI is a formula to help form red blood cells and assist in their proper function.